Twitter is a social media platform that businesses of any size can leverage. It’s an ongoing exchange of ideas, services, and information, and getting your business’s name into the mix can help it grow and gain recognition. With more than 240 million users, it’s worth knowing how to use it for your business. Even though tweets themselves are short, your outreach on Twitter can be huge. Before you start tweeting, define your business goals – do you want to connect with others in your industry? Provide better customer service? Communicate with your customers? If you’re just starting your business, read other companies’ Twitter feeds to learn what content they’re sharing and how they’re interacting with customers. Then develop a content strategy that gives you an authentic voice. As with Facebook, marketing experts advise making about 80 percent of your tweets focused on interactions – like retweets, replies to tweets, and favorites. 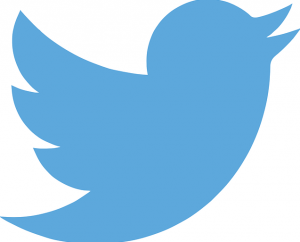 Only 20 percent of your tweets should be direct promotions or offers. Wondering how to interact with the Twitterverse? You can find some good examples of companies doing it well here. If your business is larger than a sole proprietorship, be sure to assign a dedicated employees or employees to your Twitter account. It’s more important that the person behind your Twitter feed know the business, and less important that they have an active online presence. When it comes to following people, and getting followers, experts say that quality is more important than quantity. You can use Twitter’s search bar to find others in your industry and follow them. Look for people who are active users, as well, and who will tweet content worth retweeting. When it comes to spammers, block and report them promptly – anyone on Twitter can see who follows you, and those followers can impact your credibility. Once you’re up and running, it’s important to pay attention to your metrics so you can tweak what’s not working and do more of what is working. If you set up a Twitter Ads account, you’ll have access to the Tweet activity dashboard. Twitter analytics will also show you metrics like follower growth, engagements, and link clicks. And of course, you have the option of buying advertising with Twitter. Quick Promote lets you boost high-performing tweets. For larger businesses, Promoted Trends can be a good option that shows your campaign or name in the sidebar with other current trends. Promoted Accounts show up like organic tweets in a feed, distinguishable only by the “promoted” icon. Find more on how Twitter ads work here. Don’t let your Twitter account sit idle – make it easy for people to find you, follow you, and interact with you. Adding a “follow” button to your website will help drive people to your Twitter feed, as will promoting your @username. Don’t forget to also sync your email contacts with Twitter. When there’s a chance to collaborate, don’t go it alone – if you’re working on something with another individual, business, or organization, share content back and forth between your Twitter accounts.